Highest quality uPVC windows timber windows, uPVC doors and timber doors is a great investment for your home. 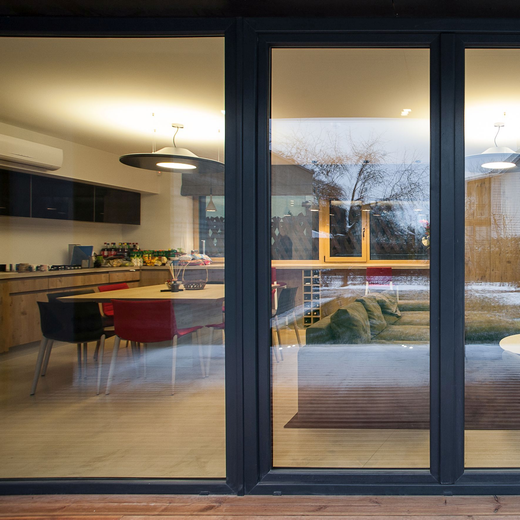 MEGRAME low energy windows and doors product line is designed for the modern living, which is created on the cost-effective, environmentally friendly living idea. Low energy MEGRAME products are warm, safe and long lasting - they help to save amount of used energy and match the best sound insulation quality and break-in prevention requirements. MEGRAME offers a wide range of uPVC and wooden windows and doors. Customers can choose the color of uPVC windows and doors from palettes of laminates or acrylcolor, wooden windows and doors can be painted in any color of RAL palette. Company always looks for solutions of every need and can offer non-standard products: different sizes, shapes, fittings and glazing.